The 4200IP DSLAM products are feature-rich, providing all the critical functions required to deliver any application including IP video, IP voice, and HSIA data simultaneously while maintaining the specified quality of service. The 4200IP DSLAM family supports ADSL2+, ReachDSL™, and G.SHDSL technologies, with either 10/100/1000BaseT, GigE fiber or T1/E1 MLPPP uplinks. The 4200IP DSLAM combines IP multicast and IP prioritization capabilities with the latest ADSL2+ bandwidth to deliver a minimum of three IP video streams to the customer premises with the protocol support required to deliver it effeciently with superior quality. The 4200IP ensures a successful video deployment for the service provider by adding features such as IGMP Snooping and IGMP Proxy for reduced network traffic and quick, crisp channel changes. When long loop lengths or impairment anomalies that adversely affect other technologies are encountered, the 4200IP DSLAM with ReachDSL provides trouble-free installation and expands DSL coverage beyond the normal range. The temperature-hardened 4200IP DSLAM can be deployed in remote cabinets where space is at a premium and temperatures exceed typical central office environments. Mounting brackets and lightning protection allows for installation of the 4200IP in many different types of remote cabinets. This Paradyne 4219-A1-530 Zhone 24-Port Reach DSL DSLAM DC-Power is in refurbished condition and is fully guaranteed by our 90-day warranty. 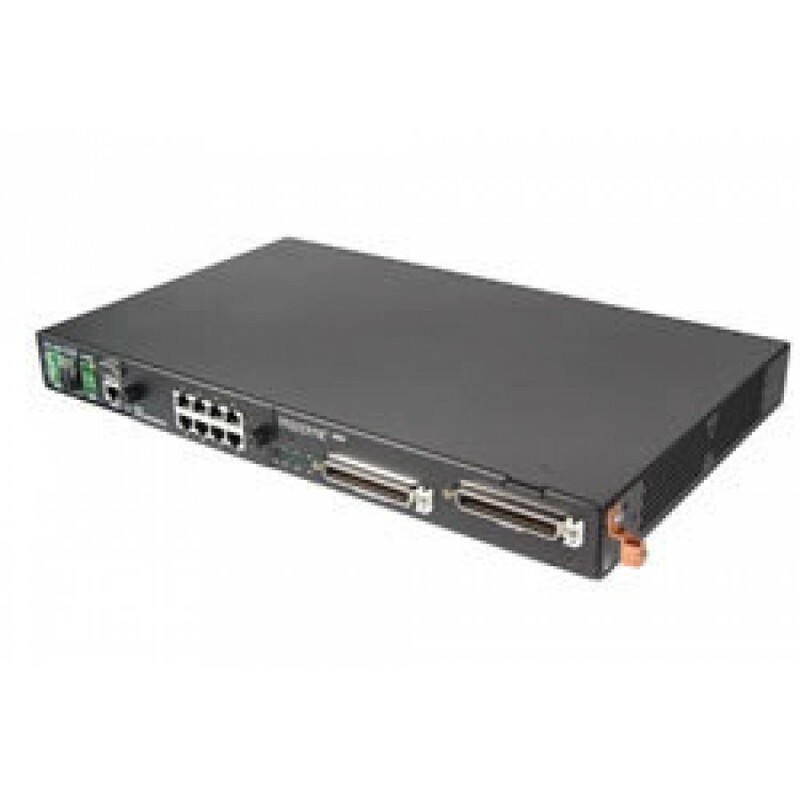 Please feel free to contact us regarding our inventory of refurbished Paradyne networking equipment, or if you have any additional questions regarding this 4219-A1-530 Zhone 24-Port Reach DSL DSLAM DC-Power. Orders for this Paradyne 4219-A1-530 unit which qualify for Free Super-Saver Shipping are shipped at our discretion via the lowest cost method. We use FedEx, UPS, and US Postal Service as shipping carriers. We cannot ship this Paradyne 4219-A1-530 within the USA by billing directly to your shipper account number. All shipping charges must be pre-paid at checkout. Paradyne 4219-A1-530 Zhone 24-Port Reach DSL DSLAM DC-Power units which are shipped internationally have a mandatory 4-10 business day security holding period between payment being received and shipment processing. This security policy is to allow funds to fully clear our bank account. International transport costs can be charged directly to your FedEx or UPS account number. We cannot ship internationally using your TNT account number; however you can coordinate with TNT to have them pick up the shipment from our location. HardwareJet.com can usually provide expedited (1 or 2 day shipping) for Paradyne products; however there is an additional rush fee per unique Paradyne 4219-A1-530 Zhone 24-Port Reach DSL DSLAM DC-Power unit in addition to the product cost and expedited carrier shipping charges. If we can offer expedited shipping for an item, expedited shipping costs will be shown at checkout. If we cannot provide expedited shipping for an item, then you will not be presented with these options during the cart checkout process.